This site is an extensive, award-winning community history: go to sitemap (on menu bar, use edit>find to search with keyword). Created by native Lincolnite D. Leigh Henson, Ph.D., Professor Emeritus of English, Missouri State University, Springfield. Author's Curriculum Vitae (PDF; suggested reading at 75%). Disclaimer: content that appears to refer to the present may be out of date. Henson's award-winning book is available for purchase online: The Town Abraham Lincoln Warned: The Living Namesake Heritage of Lincoln, IL, 240 pages, 73 illustrations. Connect with me on Facebook or LinkedIn. 1-7-13: The Lincoln Statues of His First Namesake City and a Long-Range Plan to Brand It as the Second City of Lincoln Statues. 10-14: Full text online of Henson's article titled “Classical Rhetoric as a Lens for Reading the Key Speeches of Lincoln’s Political Rise, 1852–1856." 5-10-15: The Research-based, Creative Process of Designing the Head of the Statue Lincoln Rallies the People. 7-9-15: Rediscovering the Identity of the Sculptor Who Created the Beheaded, Buried Lincoln Statue in Lincoln Park, Springfield, IL. 8-25-15: Henson Pictured with Lincoln Statue He Proposed in 2008. 2-11-16: Henson Donates Copies of The Town Abraham Lincoln Warned to the Logan County Genealogical & Historical Society. 3-20-16: Photo and description of the Ron J. Keller historic home, corner of Tremont and Kankakee Streets. 10-8-16: The "Larger Than Life" Family of John Dean Gillett Hill of William Maxwell's "My Father's Friends" (1984). New, 2-17: The Five Lincoln Memorial Trees of Bloomington-Normal, Illinois, 1850s to the Present. New, 3-2-17: Rediscovering the Replica of the Lincoln Statue That Joseph Petarde Created and Donated to Peoria's Kingman Primary School. New, 5-22-17: Available for purchase online: Henson's book titled Inventing Lincoln: Approaches to His Rhetoric, a critical analysis of how his biographers and communication specialists have interpreted his speeches and other compositions. New, 12-20-17: Revisiting the Question of Whether Abraham Lincoln Had Practiced Law in the Christian Church of Lincoln, Illinois. New, 3-19-19: The Real Estate Empire of the John Dean Gillett Family of Elkhart, Illinois. 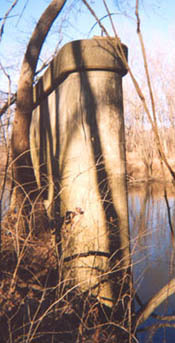 Log of additions to this site, 2005--2014. Lincoln, Illinois, is the only town named for Abraham Lincoln before he became famous. Abraham Lincoln christened Lincoln, IL, in 1853, with watermelon juice; thus the town's colors are red and green (access the Lloyd Ostendorf painting of the christening scene; access other Lincoln art by Lloyd Ostendorf.) 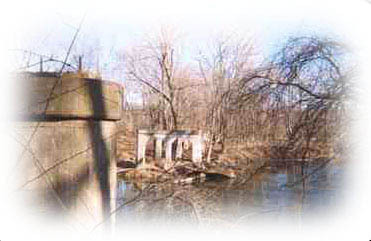 See the location of Lincoln, IL, in central IL at MapQuest: Map of Lincoln, IL US. Purposes of this site. Shortlist of links to info about must-see places in Lincoln, Illinois. Email a link of this community history Web site to someone who might be interested. A "labor of love," this site is the public service work of Leigh Henson, a native Lincolnite. The site yields approximately 3,000 printed pages. Email Leigh Henson at DLHenson@missouristate.edu. by D. Leigh Henson, Ph.D. If you have a story about growing up in Lincoln, IL,--or about someone you knew there--, and would like to add it to this site, feel free to email it to me at DLHenson@missouristate.edu. 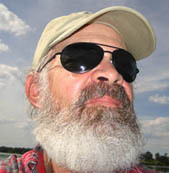 Professor Emeritus of English (9-1-06). Missouri State University English Department webpage about his professional life. Missouri State is the second-largest public university in Missouri and Missouri's only university with a national and international public affairs mission. As a "distance" public service project, this community history Web site supports Missouri State's public affairs mission. Henson's alum webpage at the English Department of Illinois State University. Sightseeing, Shopping, and Dining in the Logan County Courthouse Square Historic District. For additional info about visiting Lincoln and Logan County, see Abraham Lincoln Tourism Bureau of Logan County. "The past is forever being swept away in the interest of neatness and order. It is unforgivable, or at least I don't intend to forgive it." Lincolnite award-winning Author William Maxwell, Ancestors (1971), p. 244. William Maxwell (1908-2000), a native of Lincoln, Illinois, wrote 11 short stories, 4 novels, and a nonfiction book of family history (Ancestors ) based on his hometown (the first namesake city of Abraham Lincoln). Maxwell was also a fiction editor ofThe New Yorker magazine for forty years (1936-1976), working with such luminaries as Harold Brodkey, John Cheever, Frank O'Connor, John O'Hara, Mavis Gallant, John Updike, and Eudora Welty. Maxwell's 1980 novel, So Long, See You Tomorrow , won the American Book Award and the Howells Medal of the American Academy of Arts and Letters. "The creation of a culture at any time and for any society requires its re-creation from the materials of the past. And that act of re-creation, the search for a 'usable past,' as Van Wyck Brooks termed it, ought to be as ongoing and as serious as anything we do." Professor Robert C. Bray, Rediscoveries: Literature and Place in Illinois, p. 11. Mr. Lincoln, Route 66, and Other Highlights of Lincoln, Illinois protests the arbitrary "sweeping away" of history and seeks to advance the noble quest for a "usable past." This Web site is the result of a journey to discover a truly "usable past" for me personally and for others associated with my hometown. Many people have a natural curiosity about the social factors that have shaped their lives, especially their families and their hometowns. My hometown is Lincoln, Illinois; and I have studied its history for insight into how this community influenced my parents' generation, my generation, and me. The last few years have afforded me the opportunity to investigate Lincoln's history more thoroughly than in my younger years. I have learned a great deal, exploring how this community is unique and how it is typical of small Midwestern towns. This information has helped me to probe the "mixed feelings" about Lincoln that I have experienced since adolescence (of course, many others have similar views of their hometowns, large or small). This project has strengthened my view that overall the experience of my formative years in Lincoln (1942-1961) was positive. My family life was good, and at Lincoln Community High School and Lincoln College, I discovered the subjects I have always enjoyed studying and teaching--literature and writing. I remain a "Lincolnite at heart." Thus, I have created this book-length community history Web site as a "distance" public service to inform viewers about the rich heritage and promising future of Lincoln, Illinois. This site aims to strengthen the civic pride of former and current (and future) Lincolnites, to inform all viewers about the first Lincoln namesake town--its past, its present, and its future prospects--, to inspire viewers to become more interested in the cultural history of the Land of Lincoln, and to encourage people to visit this historic central Illinois city (population about 16,000) (heritage tourism). Next, I summarize the historical and cultural distinctions of Lincoln, Illinois--the subject matter of Mr. Lincoln, Route 66, and Other Highlights of Lincoln, Illinois. This Web site typically devotes one or more chapter-length "Web pages" to various topics in an attempt to offer a comprehensive, interesting history. The Introduction (link below) provides a more detailed explanation of the site's content, contributors, intended audiences, organization, and writing style. 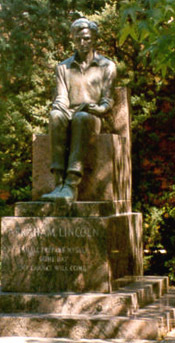 The most celebrated historical distinction of Lincoln, Illinois, is its association with Abraham Lincoln. In 1853, Abraham Lincoln was the attorney for the railroad whose construction led to the establishment of the town. Abraham Lincoln was also the attorney for the three men who founded Lincoln, Illinois, the seat of Logan County. The attorneys asked Mr. Lincoln for permission to name the new town after him. Legend has it he noted that nothing named Lincoln ever amounted to much, but he agreed to give the town his name. Near the train depot on August 27, 1853, Mr. Lincoln christened this first namesake town with watermelon juice in a public ceremony. Lincoln, Illinois, is thus the first town named after Abraham Lincoln before he became famous. In Lincoln, Illinois, Mr. Lincoln frequently practiced law, occasionally substituted as a judge, owned property, and engaged in politics until his election as the 16th President in 1860. Today Lincoln, Illinois, is home to many historic sites associated with Mr. Lincoln (he disliked the nickname "Abe"). A second major "claim to fame" of Lincoln, Illinois, is its close connection to Route 66, arguably the world's most famous highway. Throughout much of Illinois, Route 66 paralleled the alignment of the railroad whose construction led to Lincoln's founding, and many miles of Route 66 pavement and bridge remnants remain in Lincoln and Logan County. This Web site presents much information, including maps and color photos, about Route 66 in this area. Another distinction of Lincoln, Illinois, is that many successful writers lived there, including Langston Hughes, William Maxwell, Theologian Reinhold Niebuhr, and Robert Wilson. Maxwell and Wilson based many of their stories on Lincoln, Illinois; and I devote a separate chapter/page to Wilson. The site contains quotations from many of Maxwell's Lincoln-based works, and presently I am developing a chapter/page on Maxwell's portrayal of Lincoln's social classes (to be published late in the spring of 2005). This Web site attempts to interest and inform a wide audience--ranging from students and teachers at all levels to casual viewers. To do so, I develop various topics of historical and cultural significance, supplementing them with rich visual material: published and original photos, maps, and vintage picture postcards. Information in this site derives from more than 100 published sources, including county and city histories, the novels and short stories of award-winning Author William Maxwell, and the work of Illinois Appellate Court Justice James A. Knecht. Also, this Web site includes the recollections of Lincolnites from three generations: family history written by my grandmothers and Uncle Gilbert "Gib" Wilson (1928--2005), oral history from my father, and memoir I have written about growing up in Lincoln. Additionally, more than two dozen alums of Lincoln Community High School (LCHS) have contributed memoir to this project. Most of them graduated from LCHS in the 1950s and 1960s. A few of these alums still live in Lincoln, but many are scattered throughout the US. In 2001, I began to identify LCHS alums from mid-20th century who had email addresses. I wrote them to ask if they would like to reminisce online. Since then, many of these "Lincolnites at heart" have emailed one another stories, comments, and photos relating to their formative years in Lincoln, and they have generously agreed to share that material here. I list these contributors on the Introduction page, and I provide email links for the contributors throughout the site wherever I use their material. You are encouraged to respond to these folks with comments and questions. I am confident that you will find this Web site engaging, and here you will find plenty of useful information to help guide your visit to the namesake town. This information will better enable you to understand and enjoy Lincoln's sites on the National Register of Historic Places and Lincoln's museums, parks, festivals, fairs, and races at the new Lincoln Speedway. A good place to enter this Web site is the Introduction (link below). The Introduction and the navigation panel at the left of all interior pages provide links to online reviews of this Web site in the Lincoln Courier and Lincoln Daily News.com,. The site map page also presents "Lincoln online," a feature article in the Peoria Journal Star (7-5-04). Note: If you printed this entire Web site as of 10-2006, you would need 2,500+ sheets of paper (more than five reams). My plan is to complete this project in 2008, burn copies of this site on CDs, and offer them to libraries, including the libraries of various colleges and universities in Illinois, the Public Library of Lincoln, Illinois, the Abraham Lincoln Presidential Library, the Smithsonian, and the Library of Congress. Thanks to contributors: they have helped to create a new kind of history--an unprecedented blend of historical and literary material, collective memoir, and visuals ranging from maps to picture postcards to published and original photos. Many more photos, map, and directions appear in Chapter/Page 12. Route 66 Map & Photos Showing Salt Creek & Cemetery Hill. Access "Vehicles I Drove on Route 66" (in the 1940s, '50s, and 60s). More people have visited this Web site than who have ever lived in Lincoln, IL, at any given time. Site publicly announced July 4, 2003. Latest revision/expansion fall 2013. Also please email Leigh Henson if this Web site helps you decide to visit Lincoln, Illinois: DLHenson@missouristate.edu. The founding fathers of this town asked their attorney, Abraham Lincoln, for permission to name this new community after him, and he agreed. 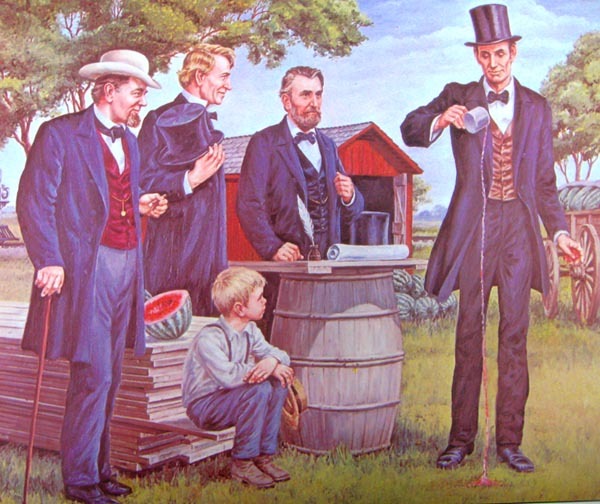 On the first day lots were publicly sold--August 27, 1853--, Abraham Lincoln, near the train depot, used watermelon juice to christen the town as Lincoln, Illinois. It thus became the first town named for Abraham Lincoln before he became famous.